Retail version launches January 22. 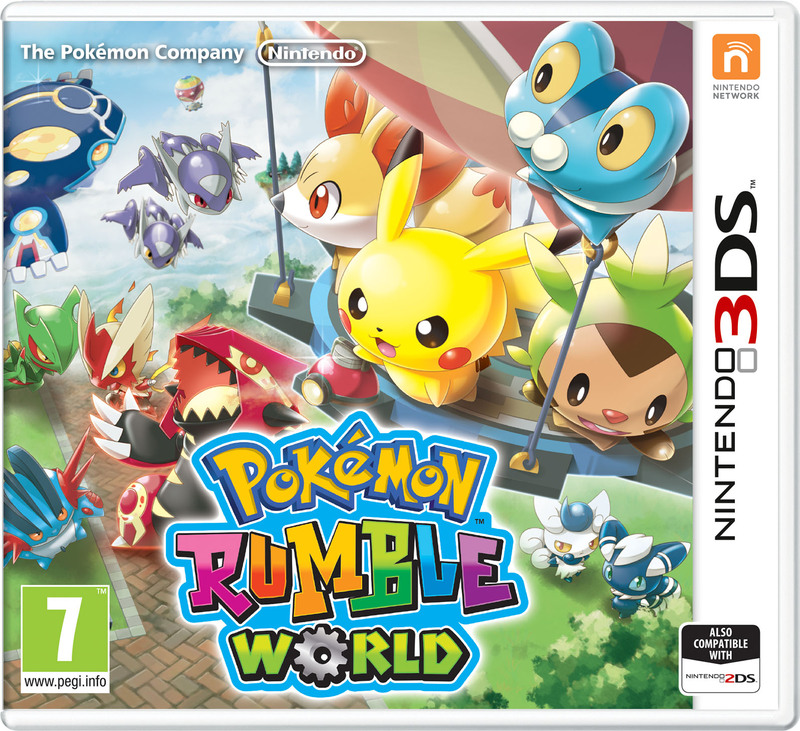 Nintendo of Europe will release Pokemon Rumble World for 3DS at retail on January 22, the company announced. The retail version of the game includes the ‘full experience,’ alongside a number of features reconfigured for the packaged release, such as Poke Diamonds, the Poke Diamond Digger and VIP Cards, whilst removing the paid content component. As you begin to explore the kingdom of toys in the guise of your Mii character, the king greets you and explains his frustration at having only one Pokémon. In contrast, he knows a mysterious magician who has 10 of them! The king is upset and enlists your help in collecting more Pokémon than the pesky magician has, thus showing him a thing or two about collecting Pokémon! Accompanied by the king’s own Pikachu, you embark on your heroic voyages via hot-air balloon to places where wild Toy Pokémon await discovery! You, along with your Personal Mii, will collect Pokémon through thrilling gameplay, challenging stages and by collecting essential items. Every existing Legendary Pokémon can be discovered and collected, with Mega-Evolving Pokémon joining the battles. Plus, your Adventure Rank will increase the more Pokémon you collect. Not only Pokémon appear in Pokémon Rumble World. Your Mii character appears, as well as the Mii characters of players you pass, leading to adventures for Pokémon and Mii characters together. You can enable this mode by connecting their Nintendo 3DS or 2DS system to the internet and activating StreetPass. Then Mii characters from near and far are able to visit one another’s games and provide mutual support in future battles. The packaged version includes newly reconfigured features such as Poké Diamonds, the Poké Diamond Digger and VIP Cards, whilst removing the paid content component. Poké Diamonds make your adventures more fun and help you along in your mission to discover Pokémon for the king. After completing the tutorial, visit the shop to receive your allotment of 3,000 Poké Diamonds. In addition, you will also be able to access the Poké Diamond Digger. The Poké Diamond Digger will provide you with 40 new Poké Diamonds every day. Once you obtain 3,000 Poké Diamonds and the Poké Diamond Digger, a special VIP Card feature will open up. There are two VIP Cards, the Balloon VIP Card and the Timing Stop VIP Card and they can be used to more easily voyage through the wonderful kingdom of Toy Pokémon, collecting more Pokémon for the king! Pokemon Rumble World launched via the Nintendo eShop on April 8. In Japan, a retail version launched on November 19.